The Three Jewels (Triratna in Sanskrit, Tiratana in Pali) in Buddhism are the three things Buddhists look to for guidance - the Buddha, Dharma and Sangha. They are also sometimes called the Three Gems, Three Refuges, or Three Treasures. Although the interpretation of them varies slightly amongst the different branches of Buddhism, they are represented in some form within all of them. The Three Jewels or Refuges are mentioned throughout the Pali Canon, and a set of verses are dedicated to them in the Ratana-sutta. 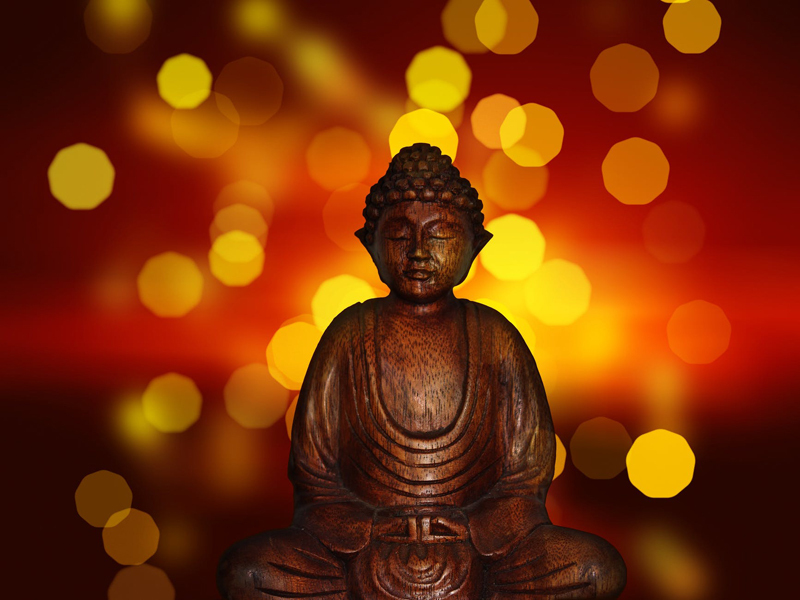 The Buddha: This is the historical Buddha, Shakyamuni, and, in some branches of Buddhism, any subsequent Buddha, and/or the 'Buddha-nature' present in all of us. However it is defined, within the Three Jewels the Buddha represents both the possibility of awakening, and the direct transmission of that possibility to others. Buddha is not a saviour or prophet, but instead a model and teacher for anyone who wishes to awaken to their own Buddha nature. The Dharma (Dhamma in Pali): This is the teachings of the Buddha, or how to awaken. This includes the oral teachings of the Buddha, as represented in the sutras, and/or (depending on the school) later teachings and texts such as commentaries and tantras. In some traditions it also can be used to mean the direct transmission of awakened mind, and any teaching or practice designed to lead one to this direct realization. The Sangha: This is the spiritual community. In early texts, this usually referred specifically to bhikkus (monks) and bhikkhunis (nuns), but in many traditions it now also refers to lay Buddhists, or even non-Buddhists who engage in activities in line with the dharma. It is also sometimes used to refer in general to all Buddhist practitioners world-wide. I go for refuge in the Buddha. I go for refuge in the Dharma. I go for refuge in the Sangha. In Tibetan Buddhism, the Three Jewels are considered the 'outer' aspect of the Three Refuges, and there are also corresponding 'inner' and 'secret' expressions of each component. This image is the symbol used to represent the Three Jewels, and is often depicted on the Buddha's footprint, another common Buddhist symbol.